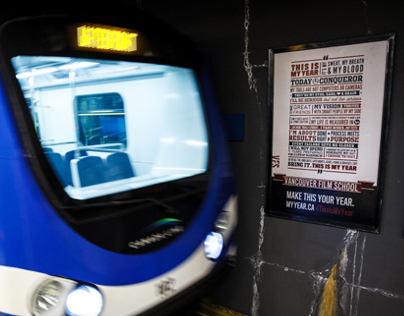 This campaign was made possible by a long-term research initiative I'd been spearheading. 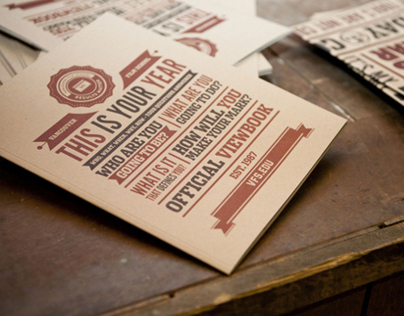 A school's results are measured by the success of its graduates. 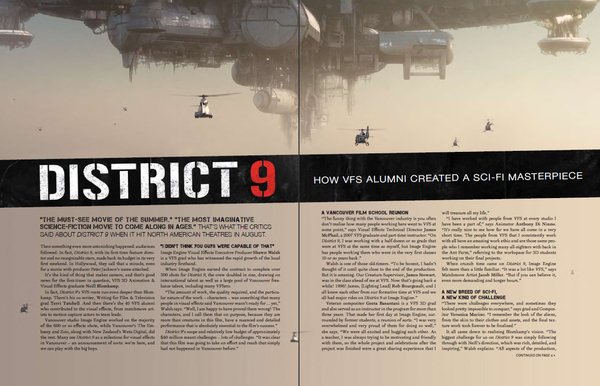 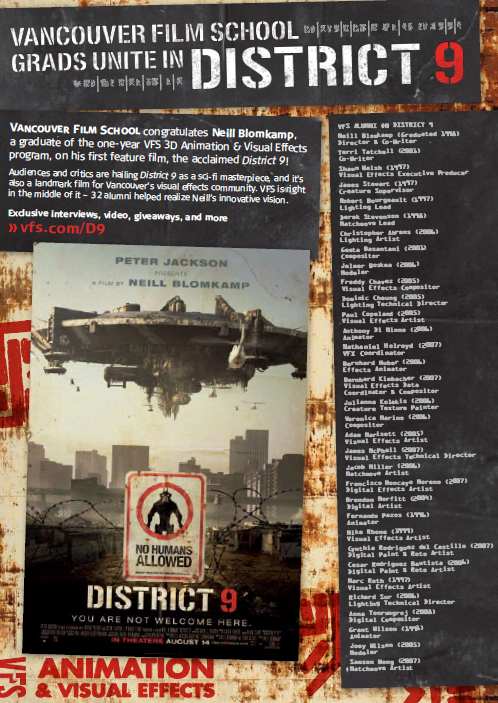 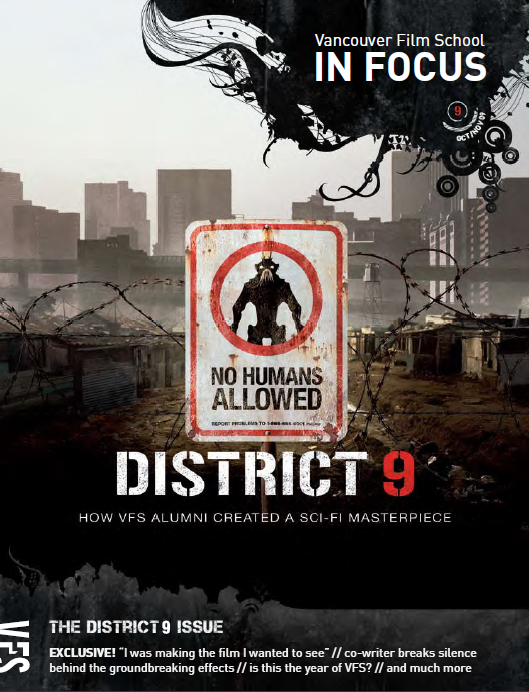 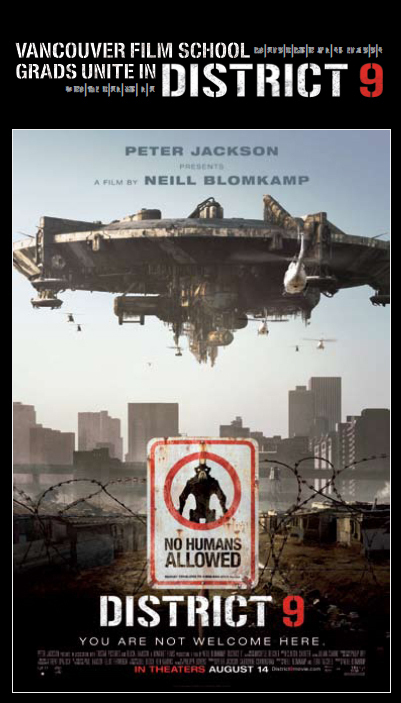 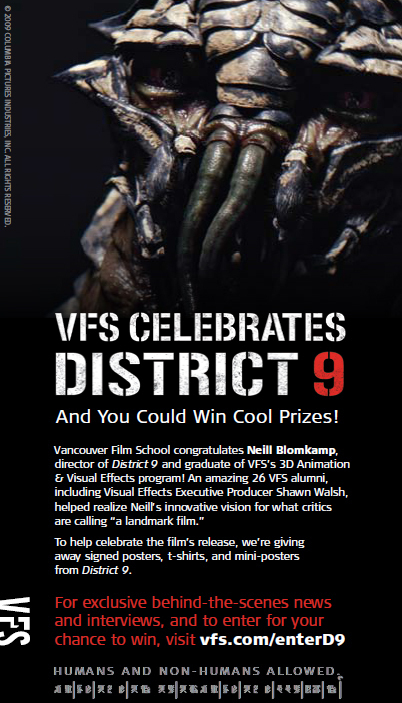 When District 9, which was written and directed by a VFS graduate and also featured many more alumni behind the scenes, hit theatres in 2009, it was important that we tell a bigger, longer-lasting story. 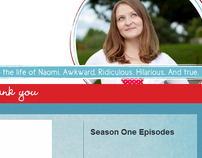 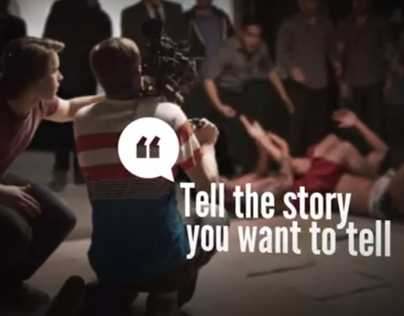 The campaign incorporated blog stories, video interviews, print advertising, postcards, and tons more. Print advertising campaign in local newspapers and industry publications. 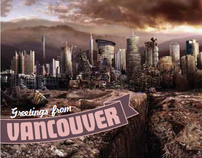 Postcards handed out at participating theatres prior to screenings of the film. 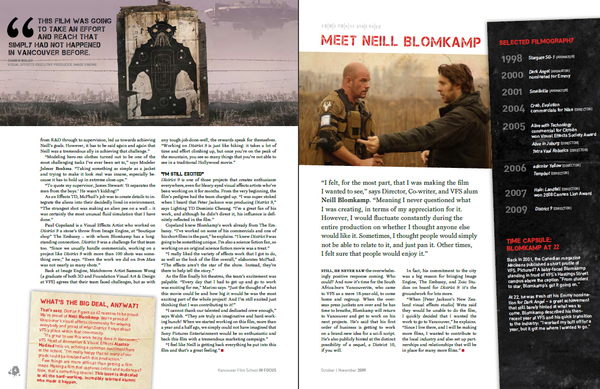 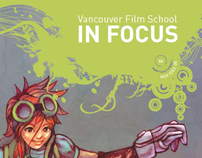 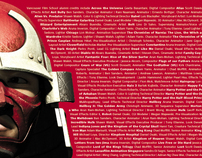 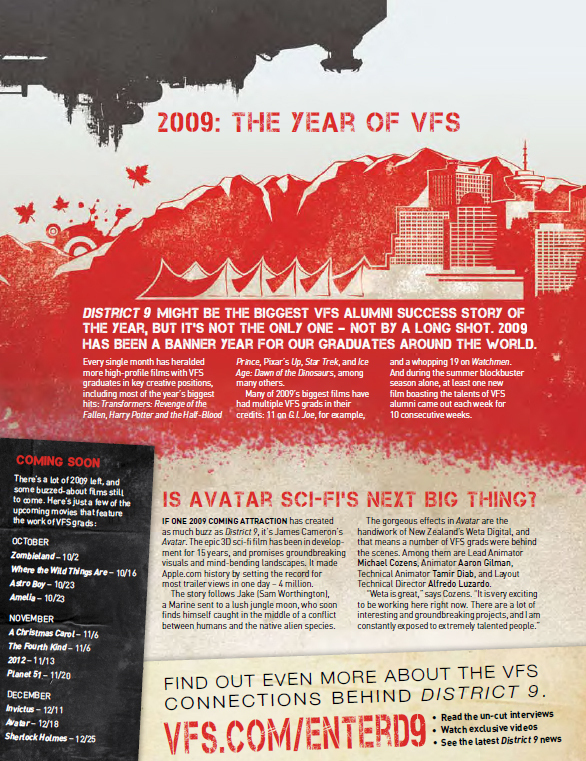 An entire issue of the bimonthly VFS magazine devoted to the film. 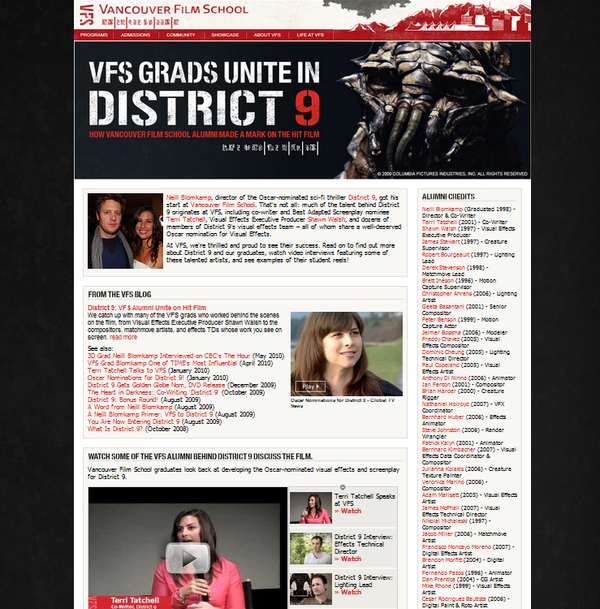 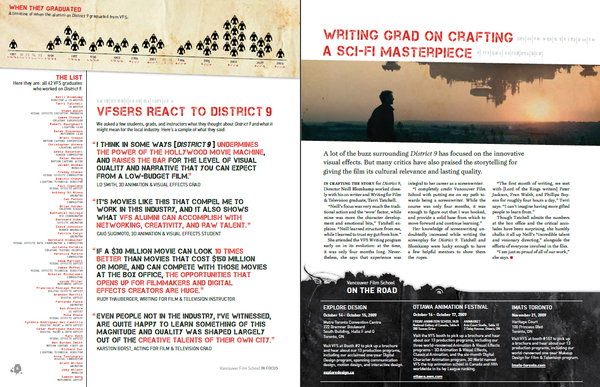 A writer-driven campaign celebrating the connections between a private post-secondary institution and the hit sci-fi film District 9.